Wella Color Brilliance Vibrant Color Shampoo, with Color Brilliance-Blend and lime caviar, is an intense treatment for improved hair surface and enhanced colour vibrancy. This treatment shampoo is designed for fine to normal damaged hair that lacks luster and for adding a touch of vibrant luster to the hair. The optimized low pH formula helps to close the cuticle after coloration, to enable a better colour retention. It is a powerful combination of ingredients such as copper, histidine, vitamin E and lime caviar to maintain colour vibrancy and protect coloured hair. Copper encapsulating molecules maintain vibrancy. Histidine and vitamin E help to control the oxidation process after coloration and to protect colour. 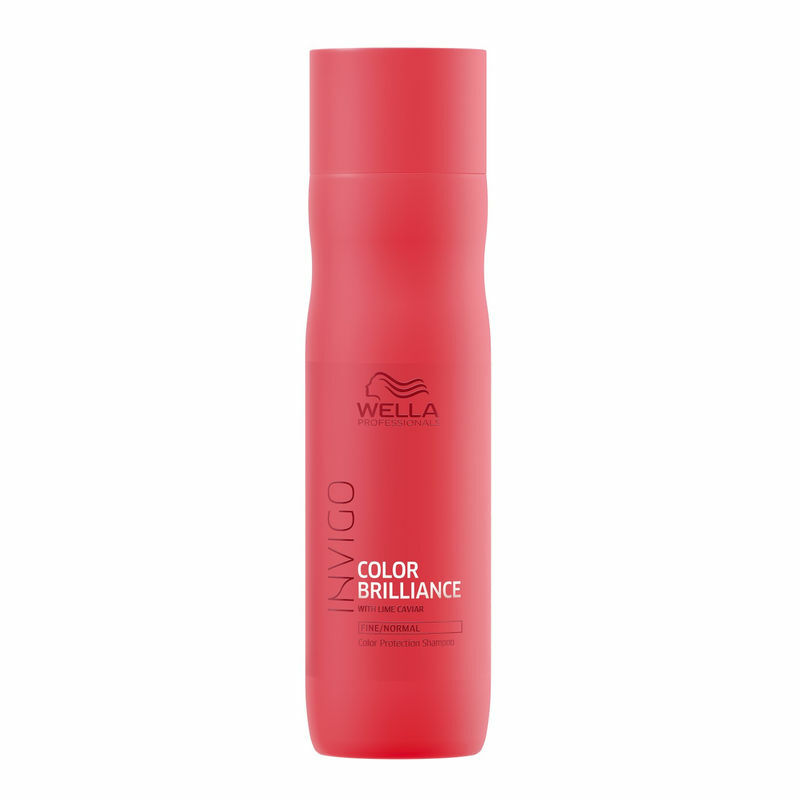 Giving an excellent hair feel after colouration and protects color for upto 7 weeks.